Like many South Africans, I have been observing developments in the ANC for a while now, trying to make sense of them and in the process, also trying to predict the possible trajectory of the tsunami that appears to be building up within the ruling party, despite President Cyril Ramaphosa’s good intentions. I hasten to add at this point that I still celebrate that he, rather than the dark forces that could have continued lording it over our affairs for their own selfish purposes, won the party presidency in December 2017. Had he lost, South Africa would, no doubt, have achieved a junk status of its own long before the global ratings agencies opened their mouths. Ramaphosa is therefore like a moving target for many of us, observers and commentators. In a strange way, it feels wrong – almost unpatriotic – not to support and wish him the best, for the sake of the country (this, while keeping a fearful eye on the ANC that he sort-of leads.). It has almost become an unwritten rule to begin any criticism of the ANC with a laudatory prelude outlining the positive actions he has taken so far. It is, after all, in the interest of our country that we all hold his hand and encourage him when he takes action that distances our institutions from the dirty clutches of state capturers. He has instituted the pushback, and that is good, but we shouldn’t fool ourselves that we are out of the woods. We are not. The work that Ramaphosa, Pravin Gordhan, Nhlanhla Nene and other leaders with integrity have to deliver for South Africa will not be easy – for all the obvious reasons. Firstly, it took almost a decade for the rot to set in. The rot did not quickly come on its own like an attack of the flu. All sorts of concerning and unsuitable people were appointed directly by former president Jacob Zuma, and by others under his watch, into crucial positions within our country’s institutions – including foreign missions. It will therefore take a long time to dislodge and replace them with people who have what it takes to deliver for our country; people we can be proud to have representing the country we should be. The second reason is that the ANC, still in power, allowed and enabled the rot. It will be hard to go after its own people without worrying about party unity, even if the price it must pay to remain together is currently being paid by South Africa. There are still people implicated in all sorts of wrongdoing, against the interests of our country, hiding in the belly of the ANC – people with a lot to answer for. These people will stand in the path of the new dawn team if it tries to engage in any action that could lead to them losing what they amassed through state capture, or if it could lead to investigation or their possible arrest. If Ramaphosa, our state president, has any enemies at all, they’re all in the party he (sort of) leads, not outside of it; and some of them would be sitting around the table with him in that protected room. So, do not bet on him opening any meeting in the manner suggested above. It is while walking the corridors of the party he leads that Ramaphosa has to keep glancing over his shoulders; not while jogging outside with citizens across the country. It has become clear that Zuma is not going anywhere – at least not under terms he doesn’t feel in control of. He was able to show us the middle finger for almost ten years, enabled by the ANC. Now that he is no longer president, he seems set on doing to the ANC what he did to South Africa. Throughout the madness, the ANC did not lift a finger to protect us and our country’s institutions from Zuma. Now we cannot protect the ANC from him either, even if we wanted to. They created the monster he has become, and they have to deal with it. They must do this, too, before its actions spread across party lines to once again affect our country before we have even healed from the lingering effects of state capture. We must wish them success for the sake of South Africa. The tsunami developing within the ANC, beginning in KwaZulu-Natal, is far from being tamed. Zuma, said to be behind the growing instability, will stop at nothing until he feels sufficiently confident that he would have intimidated Ramaphosa into repeating the bad habit of post-Mandela presidents – interfering with the NPA to protect their own. What else are we to read from the growing crescendo of Zuma’s threats to spill the beans on others unless (it is implied) he is left alone? Perhaps, for its own sake and that of the country, the ANC should be electorally quarantined and made to ‘walk the wilderness’ while it sorts out its internal affairs and finds its soul again – or a new soul and raison d’être? 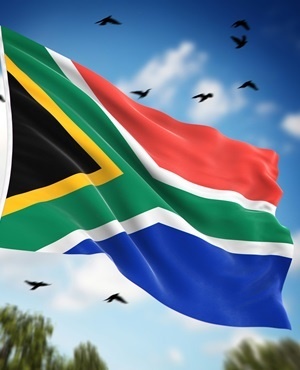 It seems unfair to expect this former liberation movement, once described as glorious – but which has become unrecognisable in recent years – to govern the affairs of a delicate, fledgling democracy, while also taking care of a terminal cancer within its belly. And South Africa should not be made to wait again, with its vital interests relegated to second class, behind those of the ANC.